11-year old Sidney Keys III has started his own book club titled Books N Bros to help young Black boys see themselves more in the media. According to its Facebook page, Sidney started Books n Bros Book Club to make reading fun for boys particularly between 8-12 years old but welcomes young boys within the reading level of 4th-6th grade. Boys, especially African American boys statistically stop reading within this age group and we wanted to combat that stereotype and encourage literacy within the young African American community. 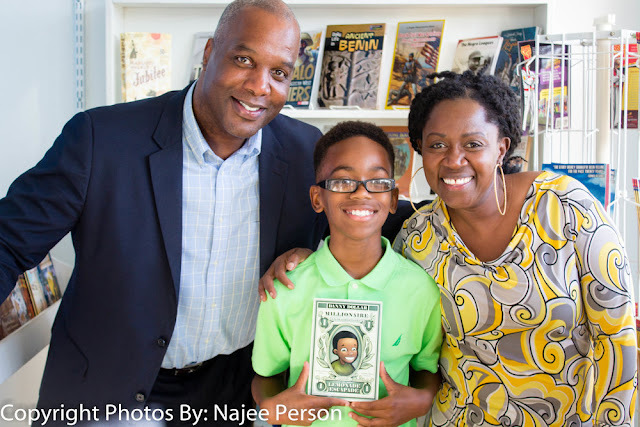 Books n Bros has a goal to focus on the bond of boys who are interested in reading African American literature that encourages Entrepreneurship, Financial Literacy, Technology and more. But it was a visit to a bookstore in the University City neighborhood in his hometown of St. Louis in August 2016 that changed his perspective. While visiting EyeSeeMe, a bookstore that focuses on African American literature, he had a moment and his mom recorded it on Facebook. To date, it has over 63,000 views and has been shared over 1,7000 times. “He hadn’t seen [a bookstore] like that before and I certainly never had, so he was making himself comfortable on the floor, reading a book,” Caldwell said in an interview with St. Louis Public Radio. “… When you get to a point when he is 11 years old and it was so shocking for him to relate to someone on the cover in a positive aspect rather than it be some negative urban story we see a lot." The club currently meets once a month and the group decides on one book to read. Although still small, it is growing every month. You can also follow Books N Bros on instagram. What are your thoughts on this idea? 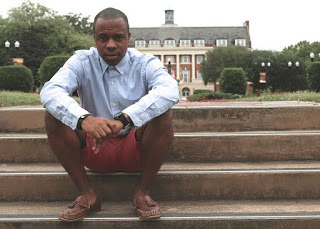 How can we continue to change the narrative and encourage more young Black boys to embrace reading more often?